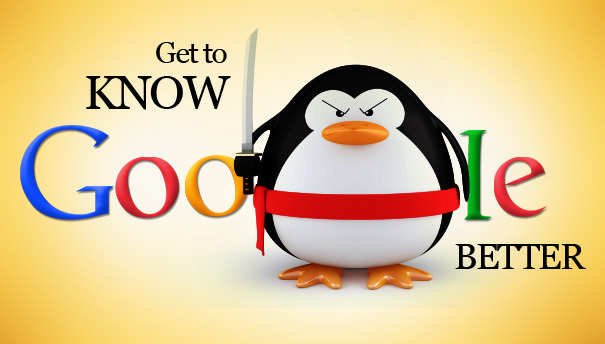 New Google Penguin 3.0 Update Coming to a Website Near You? Online marketers the world over are on high alert; our ears and eyes have evolved somewhat, and most of us are sitting on the edge of our seats waiting for Google’s potential new Penguin algorithm update. If you’re not familiar with Penguin, and you have a business online, it’s high time you got acquainted. In fact, perhaps you already know Penguin, and know it well and you just didn’t realise it? Penguin targeted sites using SEO techniques that violated Google’s quality guidelines. This included keyword stuffing (overloading of keywords or phone numbers), link schemes (buying or selling links, unnatural links and forum comments with signature links) and other methods of gaming the system to improve search rankings. This change only affected 3% of queries, but it significantly impacted sites gaining an unfair SEO advantage. Four subsequent Penguin updates have had a profound impact — all sites should now be reviewed via regular Link Audits to rule out the presence of spam links. Penguin 3.0 is rumored to reward sites that have done the hard work of disavowing nefarious links. So, here’s what we know, and know well in the industry – Google’s Penguin update targets backlinks – the essence of online marketing; backlinks help push your site up in the ranks – NATURAL BACKLINKS…healthy link juice as we sometimes refer to it. Here’s where you, the business owner, should pay close attention – Penguin 3.0 is rumoured to be benefiting those who have cleaned up their backlinks. If you were one of the unlucky one’s who got hit hard in 2013, then had to pay loads of cash to clean up the bad link building through disavowing or removal, your time may have finally come. For those who have ignored the situation or still have no clue what’s going on…you may be missing out. With the above inside information on Penguin 3.0, now is the time to revisit your sites link schemes. If you have no idea what on earth I am talking about, and you think your site is doing really well; then you really need to do a link audit on your site. The bottom line is for those who still have yet to audit their campaigns backlink profiles, you must do so now – consider yourself warned. With all that information out of the way…let’s take a look back in time. 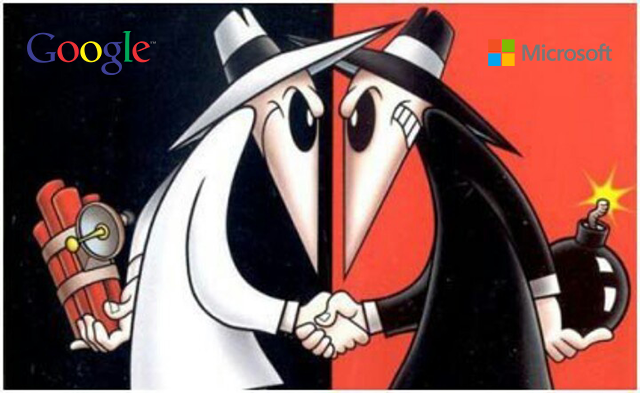 2013 was the year of reckoning for Google, and plenty of websites were unfortunately caught in the middle. Whether they deserved to be penalized is up for debate. Don’t get me wrong, most of the sites that got hit, and hit hard deserved it. However; it left unsuspecting business owners shaking their heads because they simply couldn’t grasp what was happening. The problem was, these business owners hired SEO firms or freelance consultants to do the work they couldn’t…and work they did! Only problem was they were using poor SEO techniques, along with bad and clearly outdated strategies. When Google makes changes to its all powerful, always mysterious and intelligent algorithm, people like me – the online marketers, tend to shake in our booties. The algorithm updates, especially in 2012, and the big cahunna in 2013 proved to be very challenging for those in the marketing industry. It set many of us on path of re-discovery, which included countless sleepless nights researching, and reflecting on past mistakes. But, that’s all in the past, and you shouldn’t feel sorry for us nor shed any tears. Getting right down to it, it’s up to us so called “marketing pros” to roll with Google’s punches and modifications. Each time we get sucker punched, we pick ourselves up, brush off, and revise our search strategies or marketing techniques. That’s pretty much our lives in a nutshell; but, looking back, many of us discovered something…something that was there all along. The major search engines like Google, Yahoo and Bing may hold on tight to their algorithm secrets, but they have no problem telling you EXACTLY what they expect. Leading the Webspam team at Google is Matt Cutts – Cutts is the master of SEO, and sometimes a marketers worst nightmare. But here’s what you probably don’t know, Matt tells it like it is and he doesn’t hold back. Since the year 2000 (14 years ago! ), he’s been telling us that quality content matters. He’s also mentioned on several occasions that building natural links closely connected to your niche is the only way to get ahead and really compete…yet many just didn’t listen. It’s a sad fact really, but in our industry it’s a little “cut throat”. We depend on many factors when it comes to retaining a client. One of the biggest factors is your patience level, followed by your faith, then of course your trust. You may think faith and trust are the most important elements to hold onto, but in our world, it’s your patience we depend on. You see, if you run out of patience, our pay checks are in jeopardy, and back in the day we did some pretty desperate things to get you the results you wanted as fast as humanly possible. This included a lot of cheating, and blackhat tactics. Thankfully, things have changed over the years, and online marketing has evolved for the better. Before you even sign on with us, you are told that the efforts or investment you are making won’t yield results for at least 6 months. It is after all, a highly competitive market…no matter what type of business you run online. Today, I personally and strongly believe in collaboration – No individual marketing consultant knows everything, and if they do, they certainly can’t do it all by themselves. Just as we depend on each other as a team, so must you the client, depend on us. At the end of the day, we are part of your team, and depend on our reputation to see us through for many years to come. Going at it alone – can it be done? Can you really run your business and do your own online marketing at the same time? It’s certainly not impossible, and before 2012 it might have been relatively easy. There was and still is plenty of information online to help you. However; because the industry has evolved to the point where it’s at now, you might be hard pressed for time. Digital Marketing, Branding, Conversion Optimisation, generating leads, optimising an AdWords campaign and getting social is just naming a few – let’s not forget about the quality content that is vital to your success today. In order to make money, you have to spend money…it’s really that simple.